The Lumisphere® system is pressure watertight confirming to IP68 and may be used in adverse conditions and in areas of high humidity including complete saturation in saline water, subject to the installation being in accordance with appropriate code and regulations. The Lumisphere® patented low voltage festoon lighting system has been designed to provide a safe multipurpose energy saving system. 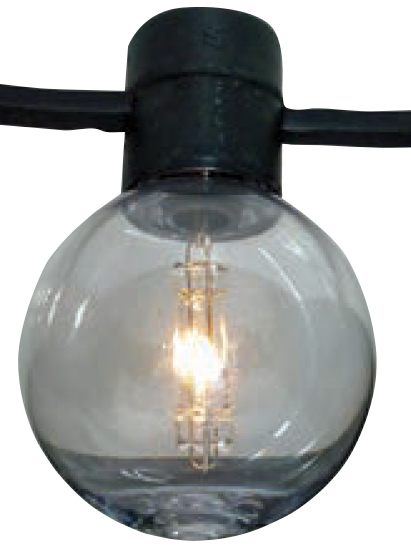 It offers an attractive alternative to standard mains voltage festoon lighting which normally has inherently high maintenance and power costs. Manufactured to the same standards at the patented low voltage festoon system, we are pleased to announce the arrival of the Lumisphere® X12 White UV Stabilised lampholder and cable. Suitable for use with the Lumisphere® Xenon or LED light sources, this unique lampholder available in white or black will give the versatility and durability that our clients expect from the Lumisphere range of products. 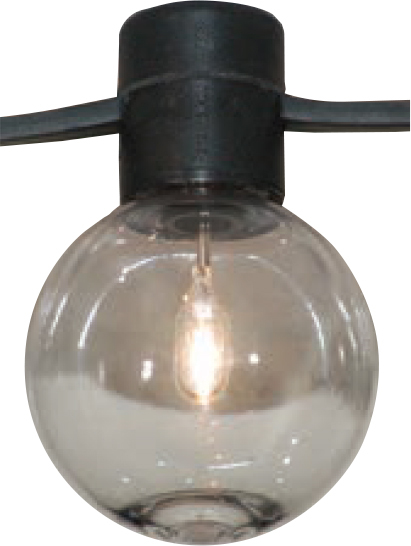 lamps are multi position burning and resistant to vibration.